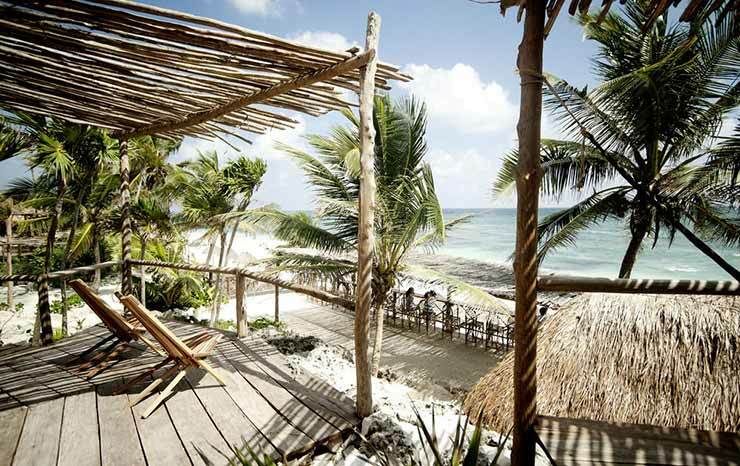 Join TravelYucatan.com as we take you behind closed doors at the Grand Palladium Resort and Spa. The Grand Palladium is a 5 star mega-resort. A virtual small city carved out of rich mangroves and jungle. Situated over 2,000,000 square meters of land boasting 1554 guest rooms and 273 apartments for employees who live on site. Like any city the resort has the necessary infrastructure to maintain and facilitate this transient society of vacationers. The Palladium Resort is owned and operated by a Spanish family under the branding of “Fiesta Hotel Group“. Fiesta operates a number of hotels in Spain, Mexico, Dominican Republic and Italy as well. The family lives in Spain. 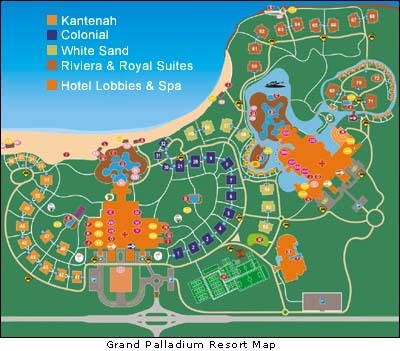 The Grand Palladium is comprised of four hotels; Grand Palladium Kantenah Resort & Spa, Colonial Resort & Spa, White Sand Resort & Spa and Riviera Resort & Spa & the Royal Suites. The Royal Suites are situated in the Riviera side and are the premium suites. The Kantenah and Colonial are joined together and share resources [kitchens, freezers, storage, offices, etc.]. The White Sand and Riviera do the same. There is a Managing Director for the whole complex but not an Assistant General Manager. There is a Resident Manager for the Colonial/Kantenah and a Resident Manager for the White Sand/Riviera. Each one of the Resident Managers have two Assistants. There are various managers/offices for each hotel overseeing operations such as housekeeping, restaurants, bars and grounds keeping. 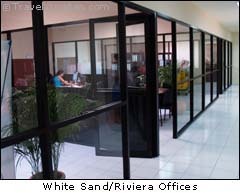 The entire facility shares some offices like Guest Services, Reservations, Accounting, Maintenance and Human Resources. It takes almost one employee per room to efficiently operate the resort [.95 employees to be exact, this rate depends on the occupancy]. 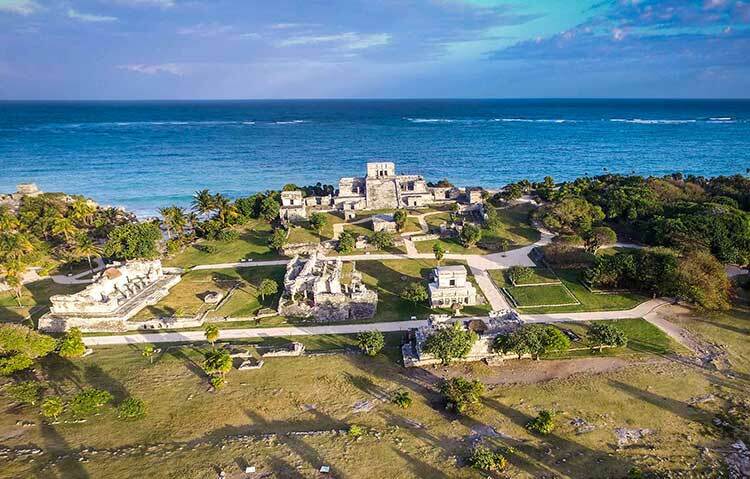 There is presently a drastic shortage of skilled workers in the Mayan Riviera affecting the operations of all hotels and attractions. There is also a building boom going with numerous reconstruction efforts underway still repairing things from last years devastating Hurricane Wilma. Employee turn-over is a constant problem as hotels compete for skilled staff. If you wonder why there are so many foreign employees at hotels in Cancun/Mayan Riviera it is not because the hotels have some kind of bias against Mexican workers but that there is simply a shortage of even unskilled Mexican workers willing to be trained. Thus the hotels are forced to look off-shore for staff. Deliveries are made to the resort six days a week [no deliveries on Sunday]. There is one main warehouse located on the Kantenah side. 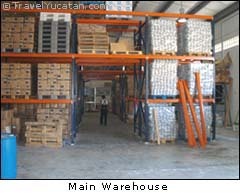 This warehouse stores dry-goods and everything from stationery to new uniforms – think Costco/Sam’s Club! There is one shipping-receiving facility for the Kantenah/Colonial side and one for the White Sand/Riviera side. Produce and meats are shipped daily while dry-goods and alcohol are stocked in the main warehouse with smaller storage areas located throughout all hotels. Meats are delivered in refrigerated trucks and immediately taken into freezers. 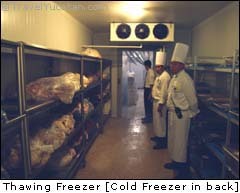 Each specific meat group [fish, poultry, beef/pork] has its own freezer. Each piece of meat is shrink-wrapped in plastic from the meat factory and as soon as it arrives at the hotel it has a sticker with an arrival date placed on the package. Every single piece of meat is tagged with a sticker to identify its arrival date, to avoid expiration. As meat is needed [on a daily basis] it is moved from one of 18 freezers operating at -18 degrees C to one of two thawing-out freezer which operates at -2 degrees C. After the meat is removed from the thawing freezer it is then unwrapped and taken through a three phase cleaning process. First it is washed, then rinsed then disinfected using a safe disinfecting agent. The meat is then taken to the appropriate kitchen for preparation. Fruits and vegetables go through a similar procedure but are washed as soon as they are delivered to the hotel. Right at the entrance of the building in the shipping receiving zone is a room that all produce is unloaded to. Every piece of produce is washed, rinsed then disinfected before being taken to its cold storage locker. There are numerous cold storage lockers [freezers operating at refrigerator temperature] dividing up the fruits, vegetables, eggs and dairy products. When produce is needed it is taken out of the storage units and taken to the cleaning room where it is washed, rinsed and disinfected again prior to use. The rooms that the washing is done in are kept clean with constant disinfecting using a 50 ppm (50 part per million) chlorine cleaning solution. Knifes, when not in use are kept in disinfectant [iodine]. 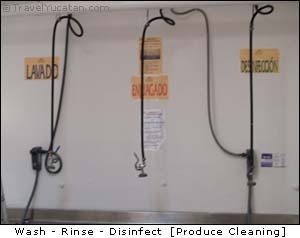 The food cleaning rooms and preparation rooms are inspected three times a day by the resort’s inspectors. They must sign-off on the reporting form located in each room. The inspector has a special tool that they rub around the room which can determine the germ/bacteria count of any given surface. If a particular surface does not meet the required specification in germ tolerance the room must be cleaned until it does. Government agents inspect the facilities and reporting logs once a month. The Kantenah/Colonial side has three buffets and four specialty restaurants and the White Sand/Riviera side has two buffets and four specialty restaurants. There is one kitchen for each buffet. In the Kantenah/Colonial each specialty restaurant has a kitchen. 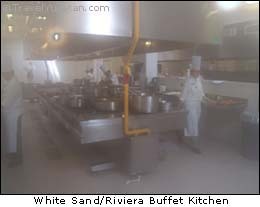 In the White Sand/Riviera the specialty restaurants share one kitchen per two restaurants. 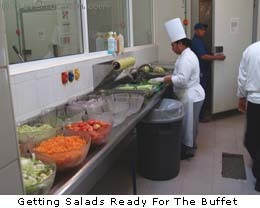 A buffet kitchen and it’s satellite prep rooms are staffed by 70 employees. The specialty restaurants share kitchens with two to three specialty restaurants being serviced by one small kitchen. The stoves in the kitchens use gas LP. There is one head chef per kitchen and an assistant to each Chef. There is a manager who oversees food preparation, service and food stocks for the Kantenah/Colonial side and one for the White Sand/Riviera side. 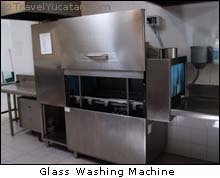 There are six dishwashing stations for the resort. The head chef is in charge of menus. For the buffets there is a seven day menu that is repeated every week [breakfast, lunch, dinner]. This menu is modified every six months. Specialty restaurants maintain the same menu with slight variations [depending on availability of some food stocks]. restaurants are pictures of the “plates” being served. Food preparers go by these photos to consistently prepare the same plate of food. If one of the specialty restaurants [a la carte] receives negative comments because of the food, first they try to ascertain the reason. If there are problems with a menu [different nationalities have different expectations] they try new dishes, always keeping with the theme of the restaurant. Slight variations in the menu do occur for of a number of reasons. Maximum efficiency occurs when the hotel is operating at 80-90% occupancy. During the periods that the hotel is operating at this level of occupancy there is no wait time on food. All food is basically shipped in, cleaned prepared and served. There is also apparently the perfect rate of kitchen personnel to guest ratio at this time of the season. During high-season the staff has to work at the maximum level. If there are personnel or delivery problems this creates new problems burdening the staff, which can affect the menu and quality of food. Low-season presents its own list of problems as the hotel must deliver the same quality and selection of foods on the menu as in high-season but with a dramatic reduction in guests. This is achieved by reducing food amounts which sometimes results in temporary shortages in some items to some kitchens because they are not ordering as much of certain items. Or the chef of another kitchen has got to the remaining item in stock before another chef. All dry-goods packages have a delivery date sticker placed on every package when the item is delivered to the hotel. 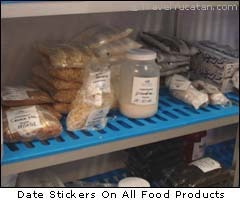 When a package, bottle, jar or container is opened a new sticker is placed on the item with that date on it. Food items do not stay on the shelf more than a few days before being used up but this quality control program is implemented regardless. Damaged goods [dented cans, ripped packages etc.] are returned to the shipping department for return. Head chefs visit the main warehouse every two days to restock their shelves. There are two bakeries at the resort, one for Kantenah/Colonial side and one for the White Sand/Riviera side. These bakeries create all the bread and pastries you see there. Every item is made fresh daily. Breads are taken out of the ovens and sent to the buffets hot. Pastries are made and kept in the freezers until that day’s service. Some desserts for the specialty restaurants are assembled in the kitchen of the particular restaurant with the main components for the desert created in the main bakery. Like all other rooms in the kitchen the bakery is also inspected three times a day. Each kitchen has food-tasters who check samples during every service. Food in the buffets is temperature checked three times per service. The most popular food item is the tomato [150 kg a day] with rice second. Thirsty guests drink 300 kegs of beer a day in low-season and 600 in high. Tequila and rum are the most popular alcohol beverages and they go through 12 40oz bottles of rum per day in low and 24 in high season. A two day stock of alcohol is stored in locked storage rooms on both sides of the resort. Easy access to alcohol and having a staff with an average age of twenty-one lead to drinking problems amongst the employees. Management took action and the problem was addressed with stricter security and upgraded services for employees living on site. Training for all kitchens personnel is done at the hotel. Those who demonstrate an aptitude for food preparation and the eagerness to learn can quickly rise up the ranks. The hotel is more than willing to assist any individual who wishes to move up the ladder. It is hard to find good help. With so many jobs available to skilled resort kitchen workers an employee can up and move if they are offered two pesos more a day somewhere else. As hard as it is to find skilled workers it is harder to keep them. The White Sand/Riviera was losing 30 glasses a day to breakage until they implemented a you-break-you-pay policy to staff. This reduced broken glasses to three a day. Accidents occur and staff is not required to pay if a genuine accident occurs. All the water used for the resort comes from one pipe in the ground located inland near highway 307. The water used for the lagoons and streams is recycled salt water from the huge air-conditioning system. The water used at the resort is not salt water but it is not fresh water either. 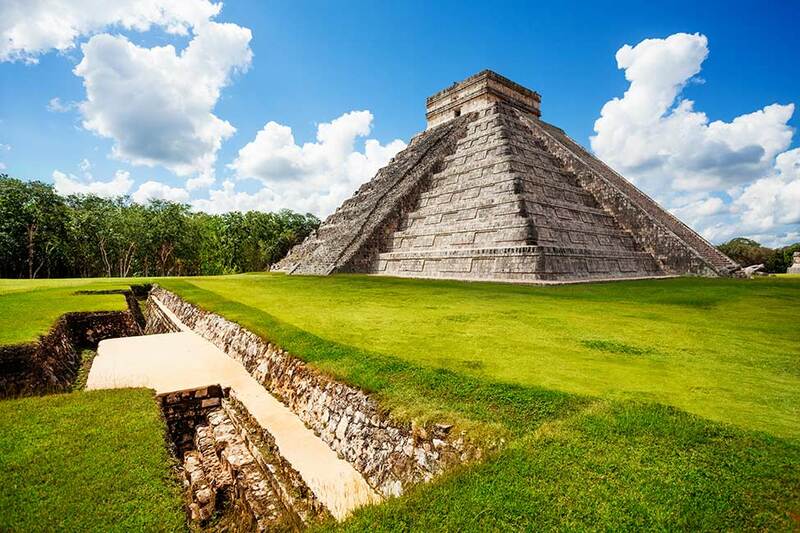 It is a combination of the two as the pipe is fed by an underground cave system that blankets the Yucatan. The water is piped to the osmosis facility where it is then run through seven filters. 40% of the water is rejected. The good water is then run through a machine that analyzes its mineral, chlorine and salt content before heading to one of two treatment machines. 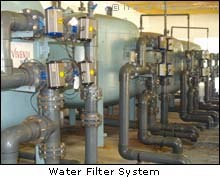 Water used for swimming pools and grounds watering is filtered, analyzed and treated once. Water for general hotel use is filtered, analyzed and treated twice. This is the water that runs out of your room taps and shower. It is also in the toilet and used for cleaning as well. 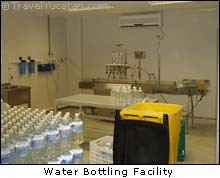 Water is also sent to an on-site bottling facility where the hotel bottles its own water. This water is treated a third time and bottled in a restricted zone in a refrigerated room closed to all except the two employees that do the bottling. The water is inspected three times a day by hotel inspectors as well as systematic checks by the government. A date stamp is placed on every bottle with the bottling date. 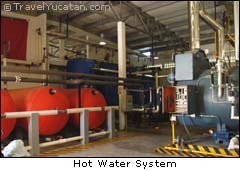 Hot water is heated in a special facility built for this task only. Water heated here is delivered to all sources including rooms, as they require it. 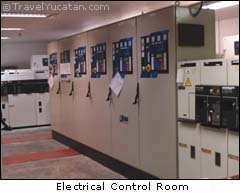 The most important room in the entire complex is the Electrical Control Room. Without power a resort comes to a standstill [happens frequently to Cuban hotels]. Not relying on the Mexico power grid the resort has eight backup generators ready to go when they are needed. These generators can produce enough electricity to run the entire complex. In the advent of an emergency there is enough fuel on-sight to power the generators for 4 days, but usually in an emergency [like hurricane] they don’t run all the generators, [just enough for necessary operations] so this can be extend to 10 days. The resort uses 3.8 megawatts of electricity a day in low-season and 5 megawatts in high. This is more than many villages in Mexico use. As you can imagine a resort the size of the Palladium has one big laundry mat. In fact there are two. The main facility handles all the resorts laundry needs, everything except staff uniforms. 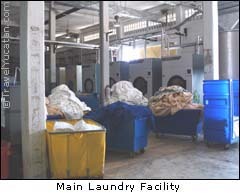 The main laundry facility contains 11 huge washing machines and 8 large dryers. The facility operates 24 hours a day seven days a week. It is very hot inside this building. The resort washes 5000 kilos of towels a day. The linens are moved about the resort in trucks. There is also a repair station for mending ripped items. Staff uniforms are cleaned at the laundry service located in the Staff Village. Employees living in the village have their own clothing washed at this facility as well. New employees are fitted for their uniforms here and there are seamstresses and a repair station for mending and fitting uniforms. Many of the employees working at the resort live in the Staff Village, which is located across the highway from the resort. There is an underground tunnel that staff walks through to get from the village to work. Staff are not allowed on the resort out of uniform and must enter the resort grounds via the tunnel, which is manned by security. Staff are not allowed to carry backpacks into the resort. All gifts given to employees must be accompanied by a note from the giver. The employee must produce the note in order to remove the gift from the resort. There are 239 units available to employees. The units range in size from an upper manager’s two bedroom – living room – two bathrooms and a kitchen down to two bunk-beds and a bathroom for line-workers. The buildings are co-ed but rooms are not. Men with men and women with women [women get the top floor of a building]. The village manager is adamant about this. And yes, there are frequent love affairs, scandals and even marriages amongst employees. Because of the segregation policy, married couples cannot live together [except upper management]. The primary reason for this is that all apartments are shared and you cannot have a married couple sharing a unit with other men or women. There is a restaurant [not free] and a store located in the village. Football [soccer] is the big thing and there is a resort league with 18 teams that vi for the resort trophy. Human Resources have their offices located in the village. Theirs is the constant struggle to find employees in a job rich environment. Some recruited for employment only speak Mayan with rudimental Spanish and must take Spanish courses. 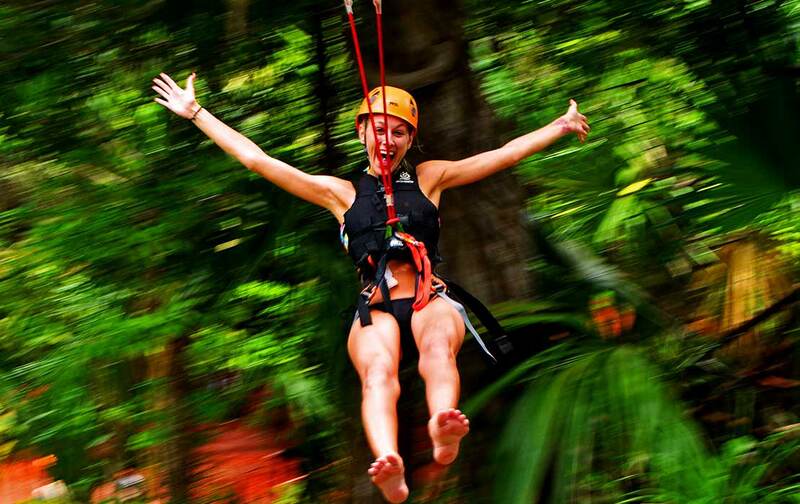 The resort offers both Spanish and English courses to staff twice a day. Human Resources also oversee employee problems [such as room mate troubles]. 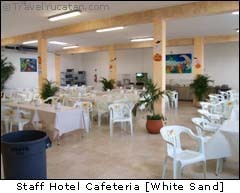 Staff is allowed one meal per shift at the staff restaurants located at the resort. A question often asked is; “does a resort give the left-over food to the staff to eat?” The answer is, yes and no. By and large the food offered to vacationing tourists is not food traditional to Mexicans or Latin Americans. So yes, some food from the hotel’s buffets is used in the staff buffets but most of the food for the staff is cooked specifically for them. Line-workers, grounds workers and basically everyone under management is given perks to subsidies wages. Visiting tourists often lament on the low wages paid to hotel staff however if you take into consideration that an employee has a place to stay, free food and laundry, a base salary [some get tips], then match this against a person the same age and skill set, working for a hotel under the same conditions in Banff Canada or Florida, then work in the cost of living for that particular geographic area and you will see that hotel employees make the same low wages everywhere. But there is money to be made and you will generally find that the older staff members have figured that out and know where the money is at the hotels. The right person can make a decent living in Mexico. The guys in maintenance are required to repair everything from golf carts to room sinks. They fix the lawn and garden equipment and also work on the bigger stuff like the air-conditioning system and water systems. Outside tradesmen are brought in only when necessary, usually for electrical work regarding the transformers and generating system. The maintenance shop is composed of a section for wood working/furniture repair and a section for mechanical work. They do their own welding and fabricating. All plumbing, heating and air-conditioning and grounds electrical work is done by maintenance. The Mechanical Engineer who oversees the day to day operations is the single most important person to the operation of the resort. 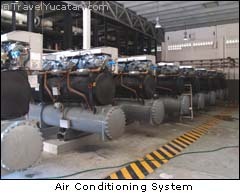 The complexity of the systems running the resort, are greater than those in some US or European towns. The hotel’s Mechanical Engineer is responsible for keeping all the systems operational and all back-up systems ready for use, should they be needed. He is on call 24/7. Surprisingly the men who work in maintenance are self-taught. There is no school in Mexico for what they do. Many bring years of experience working in related fields and teach each other the tricks of their respected trades. The top guys would be considered ticketed millwrights outside of Mexico. They are paid good money because guys with their experience, who live in Mexico near a particular resort, do not grow on trees. Each resort needs at least one of these guys with an assistant. They must speak Mexican Spanish in order to relate to their staff. They must be prepared to live with their family, either at the resort or near it. A resort the size of the Palladium produces a large amount of garbage as one might imagine. Sea grass and other plant material collected while landscaping is used as fill or left to integrate back into the ground over time by dumping it in the jungle. It’s all organic so it’s okay. The garbage collected from rooms and general operations is sent to the shipping receiving area in either the Kantenah/Colonial side or the White Sand/Riviera side. There the garbage is sorted into one of three classifications [wet, oil, dry] and stored for regular pick-up. All incoming and outgoing telephone calls go through the main switchboard located in the Kantenah side. 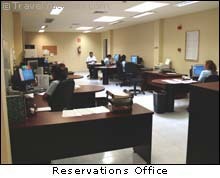 All reservation requests are handled by the Reservations Office. This office handles reservations for the entire resort. The Reservations Office is also located on the Kantenah side. Every guest room has a television and a telephone. There is a satellite dish and receiver for each channel fed to the television system. If you wonder why they don’t supply every channel it is because the receivers are expensive. 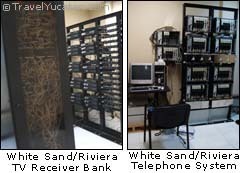 There is a system of receivers and a phone system for the Kantenah/Colonial side and one set of systems for the White Sand/Riviera side. Maintenance is responsible for keeping the systems up and running 24/7. The Palladium is in essence four hotels with the special Royal Suites making it “sort of” five hotels. There is a Managing Director for the whole complex but not an Assistant General Manager. There is a Resident Manager for the Colonial/Kantenah and a Resident Manager for the White Sand/Riviera. Each one of the Resident Managers have two Assistants. 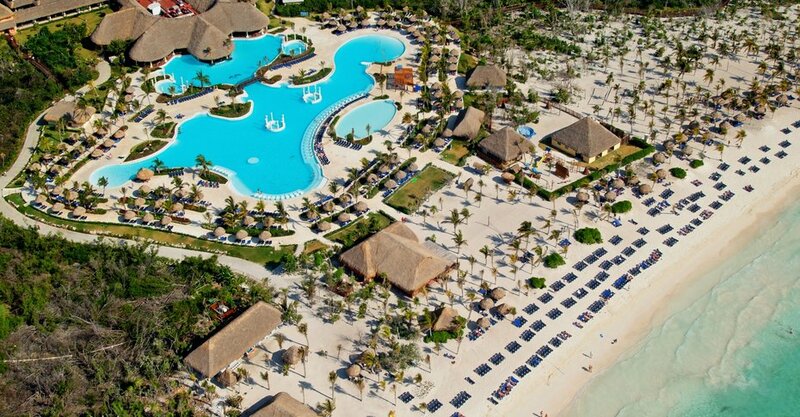 There is a manager for food services for the Kantenah/Colonial side and one for the White Sand/Riviera side. It is the same with the Housekeeping Manager, Maintenance Manager and Bar Manager. There is one Guest Service Manager for the entire resort as well as one Security Manager. There are 13 employees in Guest Services. Animation staff [entertainment] is composed of 52 employees. There are 51 groundskeepers, 156 bartenders and 289 housekeepers. There are three shifts at the resort: 7:00am – 3:00 pm, 3:00pm – 11:00pm, 11:00pm – 7:00am, with a six day work weak. Managers also work a six day week with different hours. 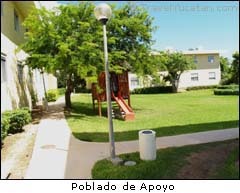 The offices are divided between the two hotel complexes. The General Manager is akin to a Mayor in this little city and the main office, City Hall. As far as Unions go, employees such as Housekeepers, Bell Boys, Bartenders, Waiters and Stewards are in a Syndicate. This Syndicate is Sindicato de la CROC [Confederaciï¿½n Revolucionaria de Obreros y Campesinos – Confederation Revolutionary of Workers and Farmers]. 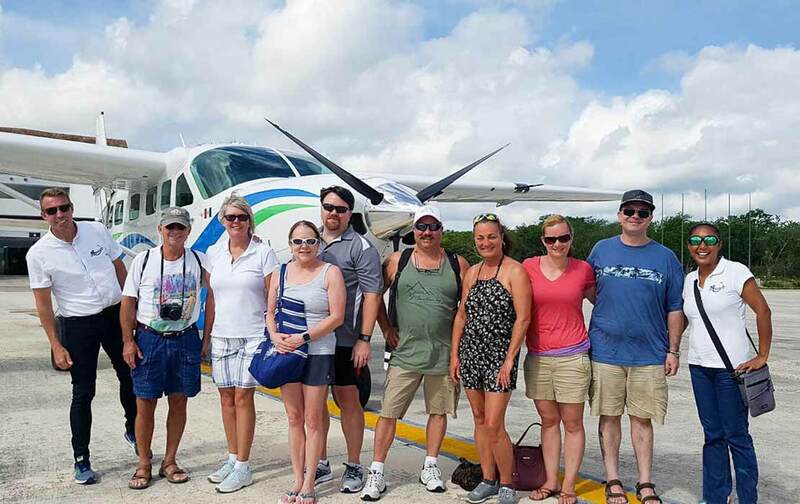 The remaining staff like Receptionists, Guest Services, Maitre D’, Restaurant Managers, Animation Team, and all the management are classified as “Confidence” employees. They do not belong to a Syndicate. There is no veterinarian at the resort, but they have a Biologist on staff. The Biologist does a visual inspection of the animals [crocodile, alligators, flamingos] during the animals feeding time. In the advent an animal gets sick or looks sick the Biologist transports the sick animal to an ecological park close to the Hotel, usually Crococun or Xcaret. After the animal has recovered it is returned to the resort. Security guards are posted at specific locations throughout the resort as well as uniformed guards who patrol the grounds. The day to day operations of the Palladium run like clockwork with an endless array of problems. Procedures are drafted into operational manuals to guide managers through the day to day routines. Hotels are connected together with a labyrinth of hallways. Doors lead from bars to storage to kitchens to dishwashing stations to storage etc… In other words, the doors you see marked staff-only lead back into the maze of Palladium operations. What surprised us most wandering around the backrooms and operation facilities at the Palladium was the cleanliness of all rooms and areas, inside and out. Even with a staff shortage the place is kept immaculate. We were also quite impressed by the amount of effort that goes into tracking every piece of food that enters the grounds. It really is a labor intensive job, but eliminates contamination. We hope this article sheds some light on how these mega-resorts operate. It is quite fascinating. As a footnote, the Palladium management allowed us access to all areas of the resort. No doors were left unopened [except the security office…the Security Manager was not around to open it] and all questions were answered. The staff was quite forthcoming with helpful information. We would like to thank Paula Montoto [Guest Services Manager] for her assistance in the preparation of this article. This article has been checked for accuracy by the General Director of The Grand Palladium Resort & Spa.